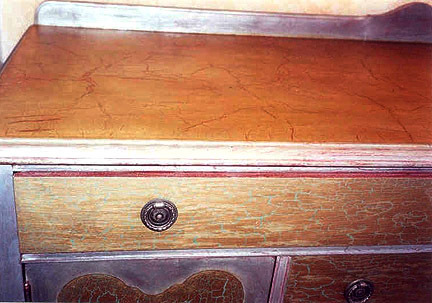 Craqueleure (cracked and tinted layers of varnish), cracked paint, and distressed silver leaf combine to give this sideboard a richly varied surface. San Francisco, Ca. To see more decorative furniture, click link below.